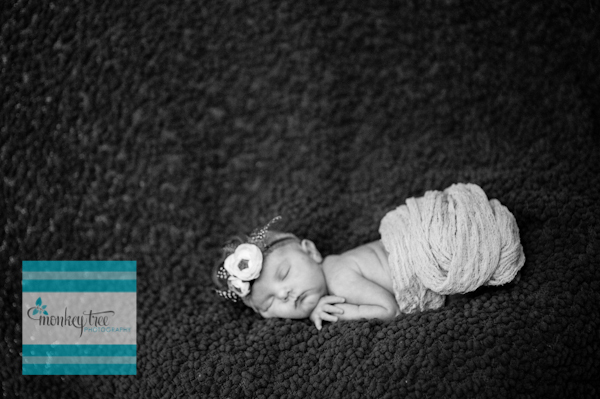 Caroline was my little guinea pig-- first newborn shoot in my new home studio... a.k.a. the living room. I moved in with all this space that could be designated as a studio, and quickly found that day after day, the living room gets the most beautiful ethereal light. Luckily it's pretty easy to rearrange to accommodate my infant setup, and hey... bonus, there's plenty of loungey furniture for Mommy and Daddy. Caroline and her parents came over, and sure enough... at 10 in the morning it went pitch black outside and poured rain like a hurricane. There went our natural light! No one was going anywhere in that ridiculous stormy weather, so we made the best of it, dragging lights in from all over the house. 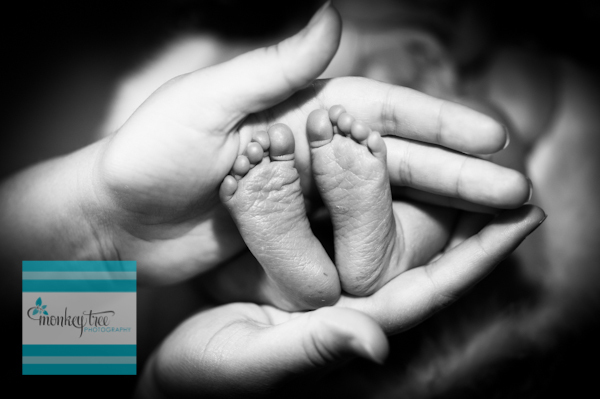 Caroline was calm and snoozy, all curled up just like I like my newborns! 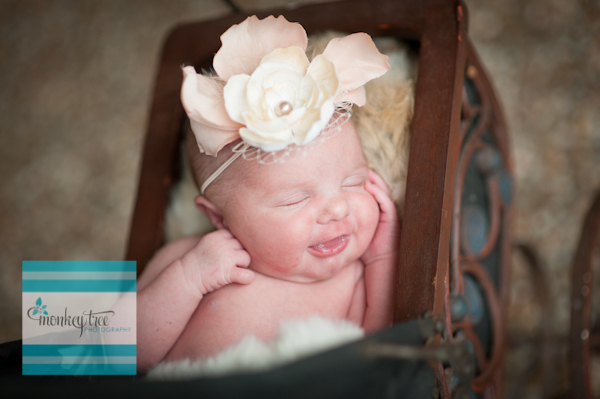 Despite our less than stellar light, we got some absolutely angelic shots of this precious bundle. 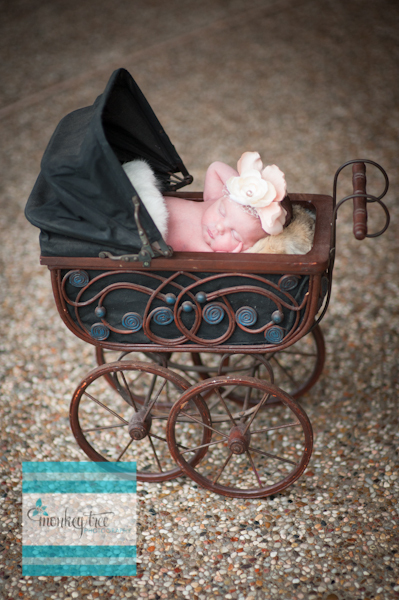 At the very end of the session, we were able to take our operation out back for some lovely vintage-doll-carraige shots. All in all, I'd say, success! 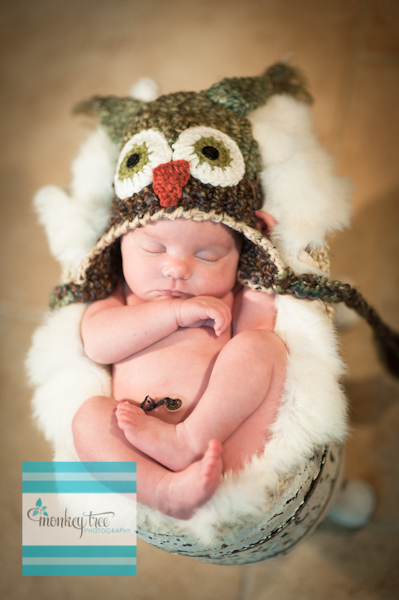 With a nursery done up in owls, there was no doubt we'd be using my sweet little owl hat for this shoot.